The discoveries that can change the course of human health forever often begin in the tiniest places: in molecules and cells, at the most fundamental intersection of physics, chemistry and biology. What makes a gene misfire? How do nerves talk to each other? What makes a cell resist one chemical but not another? Understanding how these cellular and molecular processes work—and how they can go wrong—is key to developing effective treatments for diseases. 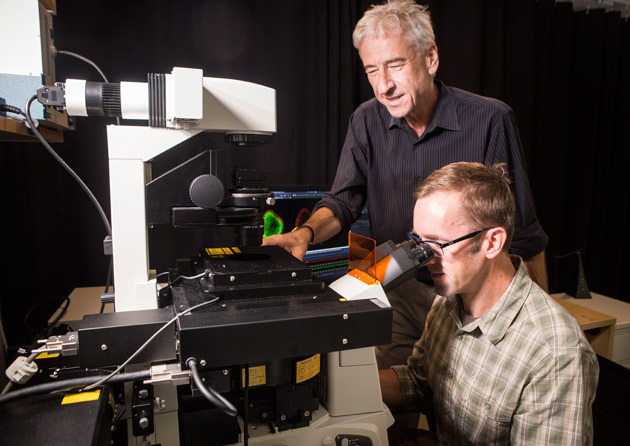 It’s also the focus of basic biomedical research at Vanderbilt. Despite the foundational role they play, funding for the basic biomedical sciences has been declining because of changes in the health care market and declines in National Institutes of Health funding. 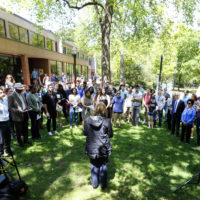 To stabilize funding following the legal separation of the university and Vanderbilt University Medical Center this spring, management of the five basic biomedical science departments, affiliated centers and core facilities, as well as all degree-granting programs, was moved to the provost. “This innovative model provides a strong foundation for the basic sciences and furthers the university’s commitment to developing interdisciplinary health care solutions,” Wente said. Wente appointed Lawrence J. Marnett, University Professor of Biochemistry, Chemistry and Pharmacology and Mary Geddes Stahlman Professor of Cancer Research, as the School of Medicine’s first dean of basic sciences. Marnett oversees the Biochemistry, Cancer Biology, Cell and Developmental Biology, Molecular Physiology and Biophysics, and Pharmacology departments, affiliated centers and core facilities, as well as graduate student training. “We seized on a historic opportunity to do something unique to position Vanderbilt as a leader in basic biomedical research,” Marnett said. Though all of the basic science departments and centers do very different work, there’s one word that seems to pop up no matter who you speak to: curiosity. Basic research doesn’t exist without curiosity. 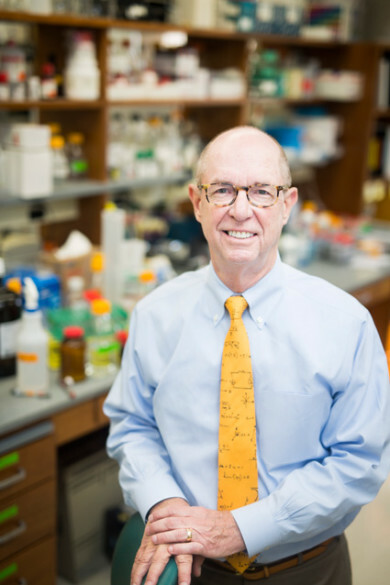 “I tell graduate students all the time, ‘If you’re going to spend your whole life working on something, it should be the most interesting thing in the whole world to you,’” said David Sweatt, chair of the Department of Pharmacology. Marnett points to a classic example from Vanderbilt’s past—Stanley Cohen, who won a Nobel Prize for his discovery of epidermal growth factor. Cohen identified the receptor for it on the surface of cells, and he worked out many of the pathways by which its signal is transmitted from the membrane to the nucleus. Creating a pipeline of younger, more diverse faculty is a focus across the basic biomedical sciences. The Department of Biochemistry hired three new assistant professors this year, according to chair John York. “What makes this exciting for me is a long-term vision that points the compass needle in the direction where our faculty are enabled to engage in discovery science that leads or invents new fields,” he said. 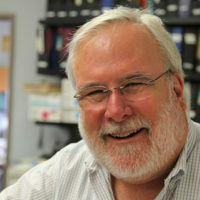 For Ian Macara, chair of the Department of Cell and Developmental Biology, the increased institutional support accelerated the construction of new lab space, supported the recruitment of two more professors, and enabled investment in a world-class Nikon Center of Excellence microscopy center—one of only a handful in the United States and the only one located in the South. 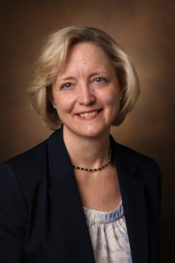 In addition to the School of Medicine, Vanderbilt has a deep bench of basic science research in the College of Arts and Science and the School of Engineering. Supporting connections and collaborations across disciplines is a primary focus of the university’s Academic Strategic Plan, one that faculty and university leaders expect to continue to grow in the future. 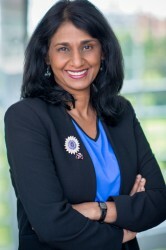 “The Basic Sciences unit is a research power house, and I look forward to working with its faculty to extend their interdisciplinary reach for even higher levels of impact through advances that span cells to systems for health, resilience and social good,” Vice Provost for Research Padma Raghavan said. When it comes to graduate education, Marnett will be working with a familiar face: Mark Wallace. Wallace, dean of the Graduate School, is also a neuroscientist and former director of the trans-institutional Vanderbilt Brain Institute.